When it comes to Big Island coffee most people think immediately of Kona Coffee which has long been regarded among the world’s top specialty coffees. The Kona region has been growing coffee for more than one hundred years and coffee plants that old still thrive and produce on some of the nearly 700 Kona independent Kona coffee farms, many of which are family owned and operated, some by fifth generation descendants of the pioneering Kona coffee farmers. The Kona coffee growing region is located on the southwestern side of the Big Island along the lower slopes of Mauna Loa and Hualalai volcanoes and is often referred to as Kona Coffee Country, or the Kona Coffee Belt. Only coffees grown in this region may be called Kona coffee. The coffee farms of Kona Coffee Country are located at elevations ranging from 500 feet to 3,000 feet above sea level, and the region is only about one to two and one-half miles wide but stretches for about thirty miles in length. Kona Coffee is known for its simple, rich flavor. The coffee is usually very delicate with a complexity in both its aroma and taste. The coffee clean and typically light to medium-bodied with a cheerful acidity, bright yet classically balanced and often exhibiting spicy and buttery qualities as well as subtle winey notes. Kona coffee can be intensely aromatic and most always provides an excellent finish. Several other areas of the Big Island are now producing fine coffee. 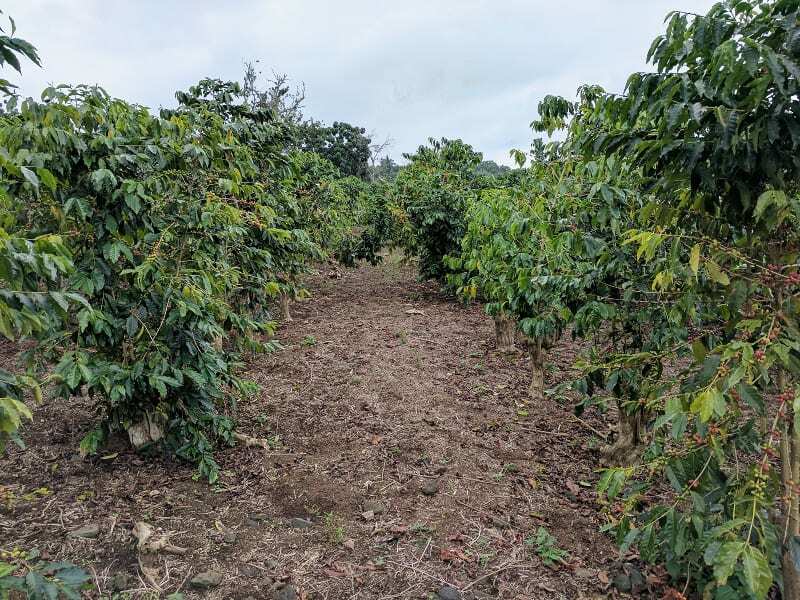 These emerging coffee growing areas are just starting to come into their own and the quality has been steadily rising, with some now holding their own against the esteemed consistent high quality of the Kona coffee beans. These emerging Big Island coffees include Kau Coffee and Puna Coffee (to the southeast of Kona) and Hamakua Coffee and Hilo Coffee (on the island’s northeast side). Most of these coffee farms on the Big Island are family owned and operated, and typically follow the methods of Kona in which the coffee cherry is hand picked at peak ripeness. There are now more than three dozen coffee farmers in Puna who have planted more than 125 acres of coffee. Puna is located on the southeast side of the Big Island of Hawaii, and is the newest of the Big Island’s emerging coffee regions. Coffee plant varietals grown in Puna include primarily Typica and Caturra along with a lesser number of Moka coffee plants. Most of the coffee is grown in the Hawaiian Acres area of Puna and most of the farms are only about three acres. Farm elevations range from about 1,000 feet to 2,500 feet above sea level. About 50,000 pounds of coffee cherry (coffee fruit) are now grown in Puna each year which translates to about 10,000 pounds of roasted coffee. This number may increase significantly by 2012. Coffee cultivated in Puna is distinguished for its full body and nutty overtones. A medium roast gives the coffee a heavy character that has been compared to Yemen Mocha Coffee. See Puna Coffee. The Hamakua district is located on the Big Island’s northeast side and coffee farms average about six acres in size, totaling about 150 acres in all. The coffee farms of Hamakua are located from 350 feet above sea level to 2,000 feet above sea level. The coffee is distinguished for its rich flavor with a smooth finish displaying tones of chocolate. More than five acres of coffee are being cultivated in Mountain View near Hilo at the site of the Hilo Coffee Mill. A tour includes the processing and roasting areas, and there is also a store, coffee and tea tasting at the Latte Da Bar, and freshly prepared food along with a full menu of specialty coffee drinks, milk shakes, ice cream, and breakfast and lunch items – and a nice lanai for relaxing. Kau coffee is grown on the southern slopes of Mauna Loa volcano. Coffee farms in Kau average about five acres in size, and the coffee from this region has made some great showings at Coffee Cupping (professional coffee tasting) events and contests. Kau also celebrates an annual Kau Coffee Festival every spring. Kau coffee is distinguished for its smooth taste with a distinct and very pleasant aroma. The coffee is sweet and aromatic with a nice vibrancy that displays floral notes of orchids and citrus flowers, often providing deep chocolate flavors along with cherry and coconut. 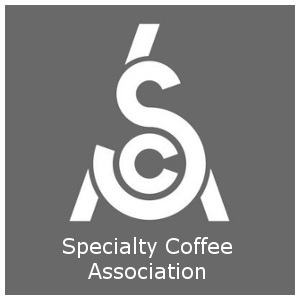 Among the notable achievements of Kau coffee is its sixth place finish in the respected annual international Cupping contest held by the Specialty Coffee Association of America (SCAA). The region produces about 400,000 pounds of green coffee beans (unroasted coffee beans) annually. For more information see: Kona Coffee; Kau Coffee; Puna Coffee; Hamakua Coffee; Hilo Coffee; Oahu Coffee; Maui Coffee; Molokai Coffee; Kauai Coffee; Hawaii Coffee Grading; Hawaii Coffee Facts; Hawaii Coffee History – Kona Coffee History; Kona Coffee Farm Tours. For tips on brewing the perfect cup of Hawaii coffee see our section titled All About Coffee including tips on Coffee Brewing. You can also read detailed coffee flavor profiles of Gourmet Coffees and instructions on preparing the finest Espresso Drink Recipes. For tips on espresso brewing see Pulling A Perfect Espresso Shot as well as the How to make a Latte.